ABLE are the official UK sales & service partner for Mc Propeller Displacement Flow Meters, the best-selling irrigation meter on the market from McCrometer. Unlike more traditional propeller meters, the Mc Propeller uses a flexible drive train and sealed ball bearings and it’s unique design makes it simple to service in the field. 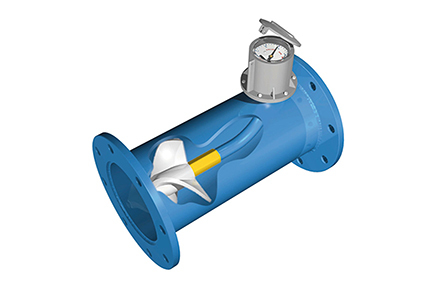 The Mc Propeller requires no external power or batteries and is designed to comply with AWWA C704-08. Features include an instantaneous flow rate indicator and 6 digit totalizer. There are no tight tolerances in the McPropeller and it doesn’t clog when handling solids suspended in water. Due to its high accuracy, the flow meter is also a water management tool helping to reduce water costs, preventing over-irrigation and reducing leaching of chemicals and fertilizers into the ground.